Inspiration: So long, farewell & bye, bye to dry, dull and unhappy skin. Hello to a beautiful, radiant, moisturized, and blissful you. 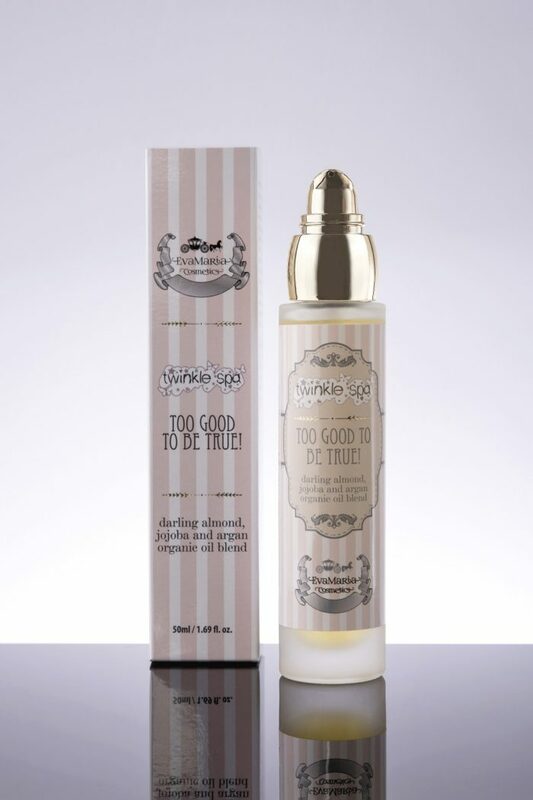 TOO GOOD TO BE TRUE supreme face and body oil based on 100% organic cold-pressed sweet almond, jojoba and argan oil is enriched with vitamin E and natural rosemary-verbena fragrance. Prunus Amygdalus Dulcis (Sweet Almond) Oil, Simmondsia Chinensis (Jojoba) Seed Oil, Argania Spinosa (Argan) Kernel Oil, Parfum (Fragrance), Tocopheryl (Vitamin E) Acetate, Linalool, d-Limonene, Citral, Geraniol, Citronellol.